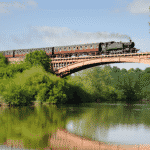 Take an exciting steam train ride along the Severn Valley Railway’s scenic 16-mile span from Kidderminster to Bridgnorth. 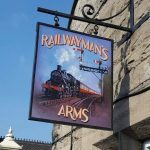 Explore historic stations, enjoy interactive exhibitions, experience fantastic events and much more! Enjoy an exciting steam train ride in one of the SVR’s heritage locomotives as it passes through the stunning Severn Valley. 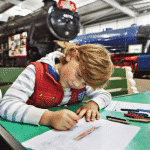 Stop-off at any of the six beautifully-restored stations en route, or head to The Engine House Visitor Centre at Highley, packed with interactive exhibits, including a collection of full-size locomotives, the Peter’s Railway Young Engineers’ Centre and a range of railway artefacts. 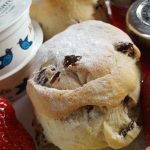 Whilst there, you can enjoy a bite to eat at the Flag & Whistle Food Stop with panoramic views of the Severn Valley. Fancy a day out with a difference? 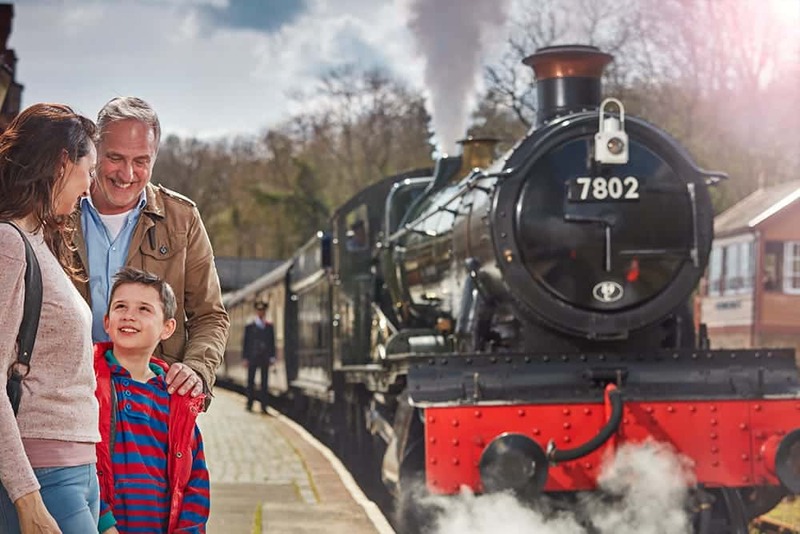 Head to one of the Railway’s many special events, including Spring and Autumn Steam Gala, Peppa Pig & George Visit day, Step Back to the 1940s Weekends, Classic Vehicle Day, Ghost Trains, Santa Steam Specials and brand new Home & Garden Fayre and Christmas Gift Fayre. 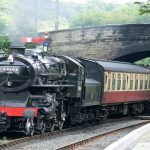 If you want to indulge, try the dining packages – enabling you to enjoy a sumptuous meal on board one of the beautiful heritage dining carriages as it passes through the Severn Valley countryside. 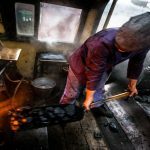 Trains operate on weekends from February to November and daily from May to October, as well as during school holidays. ‘Freedom of the Line’ train tickets permit unlimited travel on the day of your visit and include FREE admission to The Engine House Visitor Centre. Discounted Freedom of the line tickets Kidderminster to Bridgnorth can be purchased in advance. Must be booked at least 5 working days in advance of your visit. It is an all-day ticket valid on a off at any station. 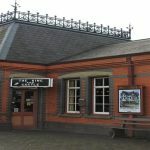 These tickets also include a visit to the Engine House Visitor Centre at Highley.Dogs may travel on our trains, except in the dining cars, but are NOT admitted to The Engine House Visitor Centre. Assistance dogs travel free on our trains and are admitted to the Visitor Centre.Discounted Freedom of the line tickets Kidderminster to Bridgnorth can be purchased in advance. Must be booked at least 5 working days in advance of your visit. It is an all-day ticket valid on a off at any station. 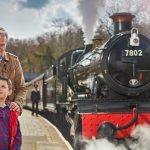 These tickets also include a visit to the Engine House Visitor Centre at Highley.Prices 2014Family tickets (2 ad + 4 children) £47.20 in advanceAdult £16.20 in advanceSeniors £14.80 in advanceChildren (aged 4-15) £10.30 in advanceVisit www.svr.co.uk or call 01562 757900 (Mon-Fri) to book. Please check timetable for dates and times of operation.